We are asked all the time why there are such stringent regulations on the management of toxic chemicals in the United States. Managing hazardous waste streams in accordance with state and federal regulations is a full time job requiring specialized knowledge and commitment. For environmental waste managers in companies around the United States this can at times lead to frustration especially with the documentation and stringent regulations required to maintain compliance. With all of the requirements for hazardous waste generators, it is natural to ask how we got to this highly regulated place here in the United States. In this two-part series we will look at two flashpoint events that fueled the environmental movement and led to the foundation of the Environmental Protection Agency (EPA) and the laws that we live with today. On June, 22, 1969 oil-soaked debris floating on the surface of the Cuyahoga River was ignited, most likely by sparks from a passing train. For all intents and purposes it was a commonplace event, not even making the newspapers in Cleveland the next day. It wasn’t the first time that a river in a heavily industrialized city had caught on fire, nor was it the first time that it had happened on this heavily polluted stretch of the Cuyahoga. 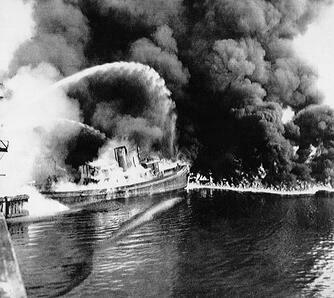 Several times in previous decades the Cuyahoga River had caught fire, most notably in 1952 when a river fire caused $1.5 million dollars of damage. A polluted river was the cost of doing business in Cleveland. Most residents didn't seem to mind, because the factories that lined the river were the lifeblood of the community. However, this time a national spotlight was illuminated on the pollution problems, when a prominent article in Time magazine was published a month later covering the fire and forever embarrassing the City of Cleveland igniting public outrage in cities across the country. The event turned Cleveland into a national punch line known as “the mistake by the lake” and became a galvanizing symbol for the environmental movement, one of a handful of disasters that led to the creation of the Environmental Protection Agency and to the passage of the Clean Water Act. It was time to start cleaning up the mess from the Industrial Revolution. Using America’s waterways and empty lots as a dumpsite for toxic chemicals is no longer an acceptable practice, and for good reason. As recent stories like the illegal dumping case in Italy illustrate the cost of unregulated hazardous waste management is disease, birth defects and a low quality of life. These are unacceptable costs in our modern society and these practices are no longer tolerated. It is the responsibility of hazardous waste generators to follow proper procedures from “cradle to grave” or bear the consequences. Those consequences can include bad public relations, significant fines and legal costs. The 1969 Cuyahoga River fire did help bring about positive change. The residents of Cleveland banded together and the Cuyahoga was brought back to life as a vibrant and healthy water system. 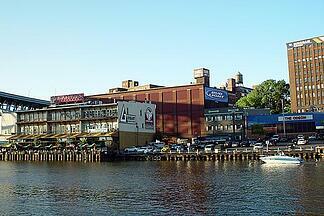 The river's water quality improved during the following decades, and business investors capitalized on this by converting parts of the Flats' abandoned industrial landscape into an entertainment district featuring restaurants, nightclubs, and music venues.